I chose to listen to the audio version of this book because of the title and because I had work to do. I started just before Christmas, took a few breaks at the beginning of January, and finished during what has to be the coldest week on record. I listened, and I knit gifts. I considered the title as I pondered the story, and, to be honest, I’m still trying to figure out that part. But, I know why. Because it’s a Steinbeck novel. Like other Steinbeck novels I’ve read, this is another of surprising revelation. Readers may be able to figure out some of the plot before the end of the story. But, the true reveal is not what happens to the characters. It is how they react to what happens. Steinbeck understood the human condition, and he understood that this condition determines our dreams, our motives, and our ultimate decisions. He knew what every enduring writer knows–how to create characters that live and breath within his readers regardless of profession, gender, or generation. His books are like mirrors. We may not like what we see (or hear or experience), yet we cannot turn away even after we turn the final page (or in my case, turn off the app). 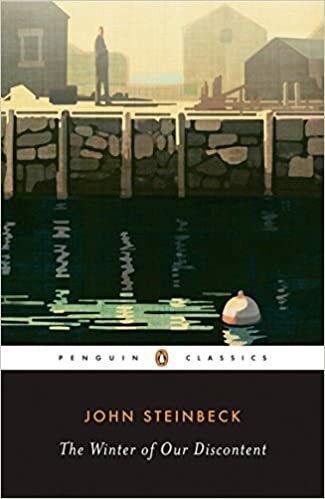 All Steinbeck books seem to linger unforgotten on the bookshelves of the mind. I smile, thinking I almost have the meaning of the title determined. Then the idea grows cold again, and I trudge on while pondering a while longer. And I realize I can’t help myself. I’m still smiling. Note: There is a fair amount of language and adult situations. Listen at your own discretion. 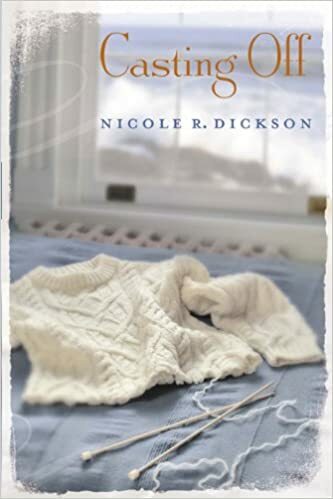 If you are looking for a good yarn that weaves characters from across seas and generations on a Ireland coastline or if you are inspired by anything related to knitting, you will love this book. The character development is well-structured and all the stories are bound together by common threads. These are people you wish you could share a cup of tea with at the end of a hard days’ work. I bought this book at a local writers conference for Christian authors. I’ve read several books about happiness in the past year. But, I liked the approach this book takes in matching our sense of intrinsic happiness with our personal style and by exchange how we can understand one another better through seeing someone else’s personal style. This book also gives a Christian viewpoint for a mainstream topic trend that I appreciated.